The Matrix Theatre Company honors Black History Month with the Los Angeles premiere of Katori Hall’s gripping and often humorous re-imagining of events the night before the assassination of Dr. Martin Luther King, Jr. What thoughts and emotions might have pulsed through the mind and heart of Dr. King on his last night alive? On April 3, 1968, an exhausted King retires to his room at the Lorraine Motel in Memphis after delivering his magnificent “I’ve Been to the Mountaintop” speech. As a storm rages outside, a mysterious hotel maid brings him a cup of coffee, prompting him to confront his life, his past, his legacy and the plight and future of the American people. 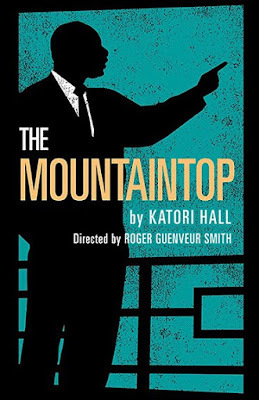 The recipient of London’s 2010 Olivier Award for Best New Play, The Mountaintop takes on new meaning with the advent of the Black Lives Matter movement.